We love everything furry so why not the EasyGo! Faux fur lining keeps your pooch warm and stylish through out the winter. DOGO EasyGo Winter Skull Harness is the best all in one step in harness. It is easy to wear and comfortable on the dog. 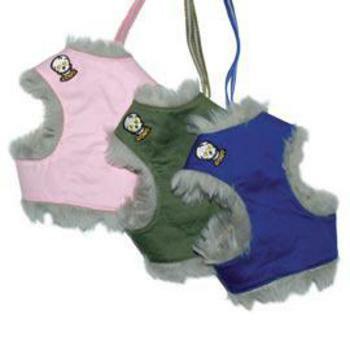 Unlike other mesh harnesses that use Velcro straps on the lower chest, which loosen its grip overtime, EasyGo Harness step-in design is tightened from the back and locked to fit each dog perfectly. Matching lead is included with the harness!